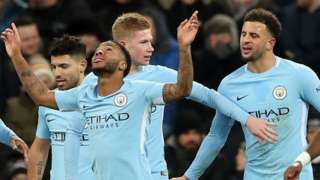 Manchester City move 15 points clear at the top of the Premier League as Raheem Sterling scores the only goal in a dominant display away at Newcastle. 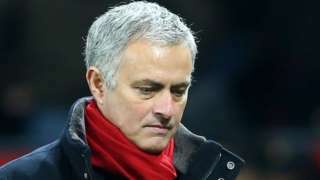 Manchester United boss Jose Mourinho says the £300m he has spent on his squad so far is "not enough" after their 2-2 draw with Burnley. M62 Greater Manchester eastbound severe disruption, at J20 for A627. M62 Greater Manchester - M62 lane closed on exit slip road and slow traffic eastbound at J20 A627(M) Rochdale, because of a broken down vehicle. M6 Cheshire southbound severe disruption, at J18 for A54 Middlewich affecting J17 for A534 Sandbach. M6 Cheshire - M6 lane blocked on exit slip road southbound at J18, A54 (Middlewich). Traffic is coping well. Congestion to J17, A534 (Sandbach). A5098 Merseyside both ways severe accident, at A5038 Southport Road. A5098 Merseyside - A5098 Aintree Road in Bootle blocked in both directions at the A5038 Southport Road junction, because of an accident. 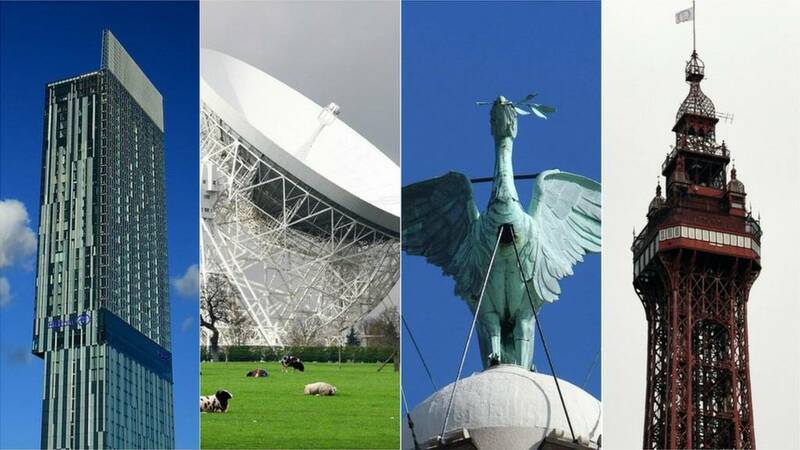 M6 Cheshire southbound severe disruption, between J18 for A54 Middlewich and J17 for A534 Sandbach. M6 Cheshire - Stationary traffic on M6 southbound between J18, A54 (Middlewich) and J17, A534 (Sandbach), because of a rolling road-block and a vehicle fire. M56 Cheshire westbound severe accident, between J7 for A556 and J9 for M6. M56 Cheshire - Two lanes closed on M56 westbound between J7, A556 (Bowdon) and J9, M6 (Lymm Interchange), because of an accident. A627(M) Greater Manchester southbound severe disruption, between J4 for A664 Edinburgh Way and J3 for M62. A627(M) Greater Manchester - One lane closed on A627(M) southbound between J4 A664 Edinburgh Way and J3, M62 (Rochdale), because of a police incident. 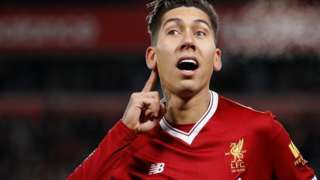 Liverpool consolidate their place in the Premier League's top four with a dominant home victory over bottom side Swansea. Justin Bieber, Coldplay and Katy Perry will perform alongside the US singer on Sunday. A678 Lancashire both ways severe accident, between Cliff Street and B6535 Harwood Road. A678 Lancashire - A678 High Street in Rishton closed in both directions between the Cliff Street junction and the B6535 Harwood Road junction, because of an accident. 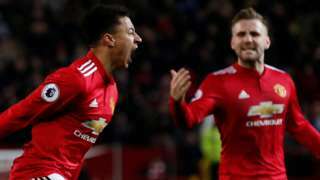 Jesse Lingard's stoppage-time strike denies Burnley a famous win at Old Trafford but Manchester United's fading title hopes suffer another blow. M53 Cheshire northbound severe accident, between J10 for A5117 and J9 for A5032. M53 Cheshire - One lane closed on M53 northbound between J10, A5117 (Little Stanney) and J9, A5032 (Ellesmere Port), because of an accident. Traffic is coping well. Ritchie Sutton scores twice as Tranmere boost their National League play-off push with an emphatic victory over AFC Fylde. Tyrone Marsh's second-half header sees National League leaders Macclesfield come from behind to beat Halifax. 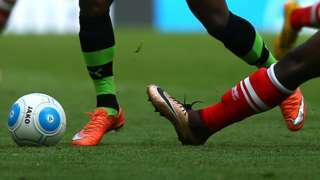 Carlisle close the gap on the League Two play-off places with a 3-1 win over Accrington - Stanley's fifth successive defeat. 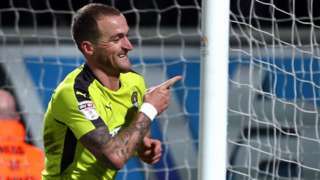 Two goals apiece from Jorge Grant and Lewis Alessandra help Notts County claim an easy win over struggling Morecambe. 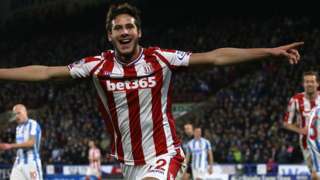 Ramadan Sobhi's second-half equaliser earns a precious point for Stoke against Huddersfield in an entertaining encounter at the John Smith's stadium. Guiseley move above relegation rivals Chester in the National League with an impressive victory at the Deva Stadium. 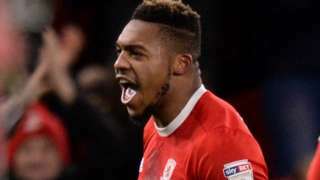 Middlesbrough beat Bolton in the Championship in their first game since Garry Monk's sacking, as new boss Tony Pulis watches on.